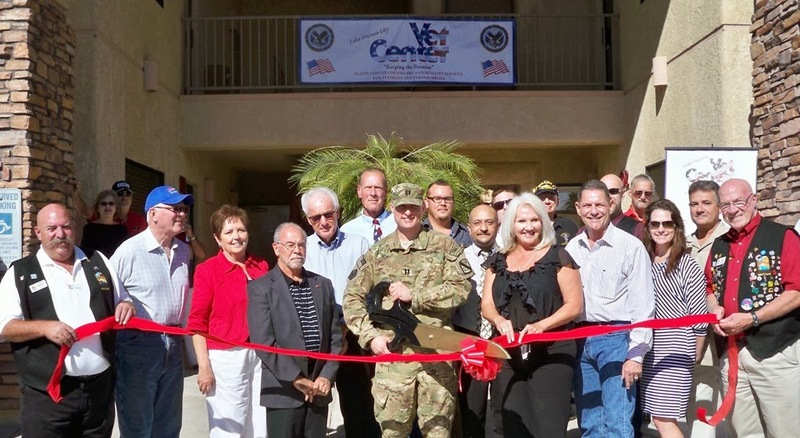 The Lake Havasu Area Chamber Ambassadors held a ribbon cutting ceremony for Havasu Vet Center, celebrating its grand opening and new Chamber membership. The goal of the Vet Center program is to provide a broad range of counseling, outreach, and referral services to eligible veterans in order to help them make a satisfying post-war readjustment to civilian life. Havasu Vet Center offers a wide range of services including sexual trauma counseling & referrals individual and group counseling, marital and family counseling, bereavement counseling, medical referrals, assistance in applying for VA benefits employment counseling, guidance and referral, substance abuse assessments, information and referral to community resources, and community education. To find out how Havasu Vet Center can help you contact them at 928-505-0394.